Is it possible to achieve high environmental and social performance in global supply chains? I am happy to share the following guest post by Dr. Jury Gualandris, shedding some light on this problem. Thank you for contributing to my blog. Increasing demand from a variety of stakeholders has pushed firms to improve environmental and social sustainability in their supply chains. Over the last decades, however, supply chains have been undergoing a process of increasing globalization, which has created the need for differentiated sustainability approaches for firms sourcing globally rather than regionally. Based on our recent publication in Supply Chain Management: An International Journal (doi:10.1108/SCM-11-2013-0430), we argue that firms leveraging higher levels of global sourcing can manage to reach equivalent environmental and social performance relative to who is sourcing locally. However, such firms must combine traditional supply management with practices having a more specific focus on the society and the environment. On the one hand, traditional supply management based on supply base reduction and coordination will compensate global sourcing’s drawbacks, such as longer distances and socio-economic, cultural differences. On the other, sustainability-oriented monitoring and collaboration will allow to leverage resources and knowledge that are potentially valuable and are not available locally, thus fostering final sustainability performance. Jury is a Lecturer at UCD Smurfit Graduate Business School in Dublin, Ireland. His studies focus on the management of sustainability, risk and innovation under different supply chain structures. His research has received awards from IPSERA and POMS and has appeared in leading journals of our field. Strategies and practices to achieve supply chain resilience have been at the heart of supply chain management practice and research for almost a decade. However, such efforts have often focused on ways to make supply chains more reactive to turbulence and disruptions. In our recent article, Antecedents and Dimensions of Supply Chain Robustness, my co-authors, Christian F. Durach and José A.D. Machuca, and me build a theoretical framework that depicts antecedents and dimensions of a second, rather proactive construct: supply chain robustness. 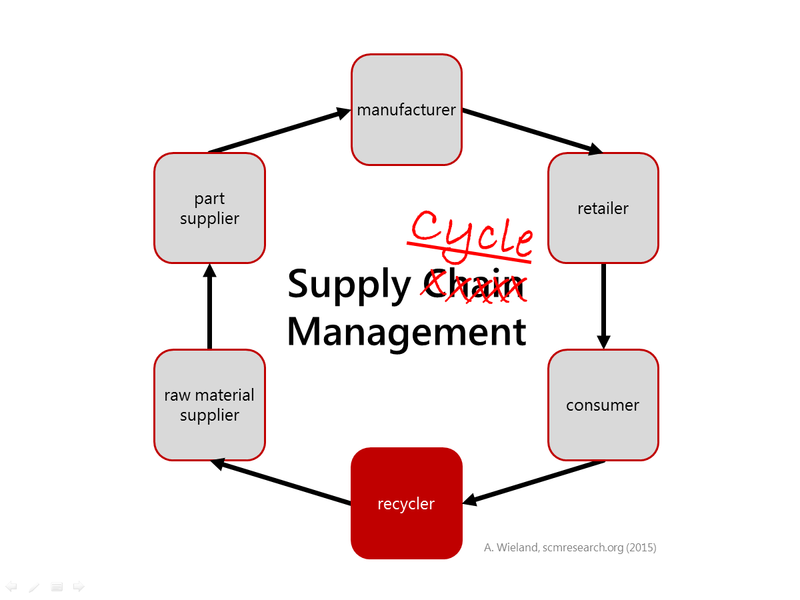 We define supply chain robustness as the ability of a supply chain to resist or avoid change. Some of my previous research has shown that this construct is even more positively related with business performance than supply chain agility. Through reviewing 94 articles, and a Q-sorting exercise, we identify four (i.e. leadership commitment, human capital, relationship magnitude, and risk management orientation) important intra-organizational robustness antecedents and four (i.e. node centrality, bargaining power, visibility, and network complexity) inter-organizational robustness antecedents.